I frequently encounter new words that I don’t see often. I am able to quickly learn all about the word without looking it up in the dictionary or searching for it. This is a great tool for my students from other countries. When I try to explain a word or phrase, I can immediately show them a picture instead of trying to explain it with words. 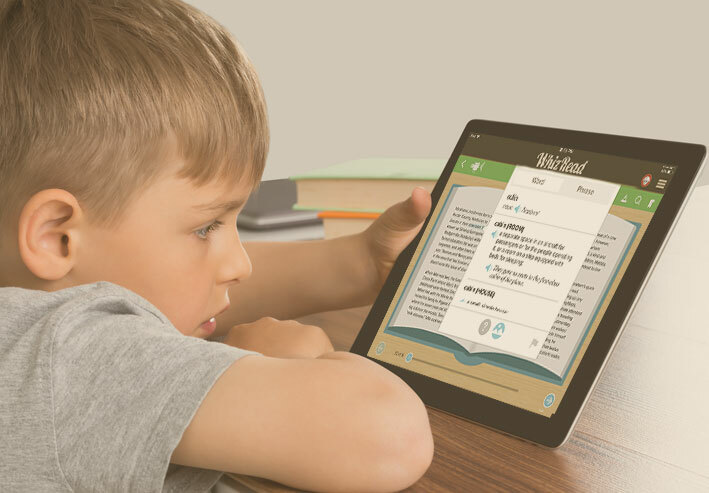 WhizRead is helpful for my son, who is more of a visual and auditory learner. My daughter reads really well, but I feel she doesn’t fully understand what she reads. This app can help her with that. I like that everything’s in one place: I can ask the app to read for me, I can see images and I can also hear audio. I don’t need to look words up in a dictionary, or search for images or video clips.